As you may have suspected, the previous posts are playing catch-up to what’s happening in “real time” on our renovation. I am feeling a bit guilty keeping you in the dark, and need to come clean: We are into the second week of demolition (of the interior)! THIS MORNING THERE WAS A CRANE LIFTING THE MASSIVE CHIMNEY INSERT THROUGH THE ROOF! There, I said it. Now we can all relax…Yes, of course you will get a photo update as well, but all in due time, all. in. due. time. There’s just a few more things to talk about before the demolition slide-show. You still haven’t heard about our finding a builder, and how that process influenced the project! Okay, so back when we felt comfortable with the “generous” floor plan, as well as with floor plans noting changes made to the basement and upper level, AND totally revamped exterior, we needed to move to the next step. Find a builder to bid the work. 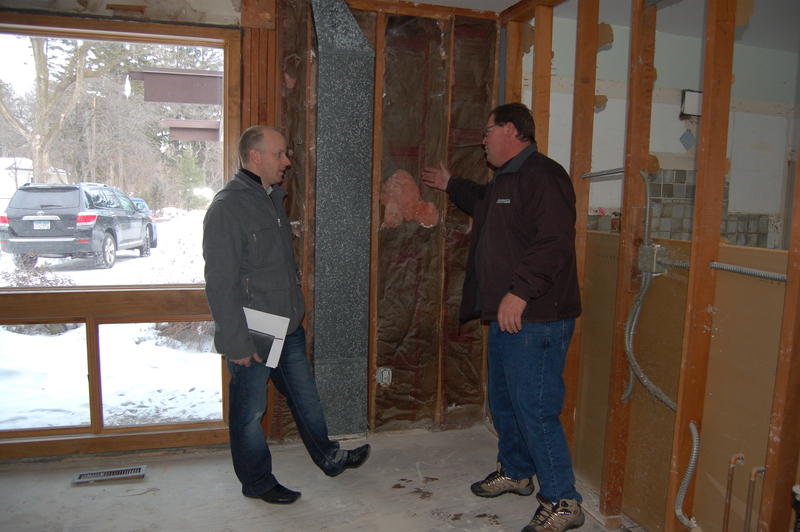 John, our architect, has worked with various builders on other projects, so we met with two he recommended. They were both knowledgeable and thorough in their preparation, spending hours to best understand the house and the work to be done. It took awhile, but when the numbers started to roll in, it was a major reality check. Both builders knew our target budget of 100k (no more secrets!). Builder #1 was annoyed, and got hung up on little things, like us not having decided on the exact puck-light placement under the cabinets, or baseboards with or without base shoe. Without those things figured out, how could he provide us with an accurate bid? Builder #2 was courteous and understanding of our hope to keep costs down. Where Builder #1 had a furrowed brow, Builder #2 had a smile and the confidence to work things out. It came down to the fact that I basically really liked Builder #2. It was an easy decision. His name is Jay. 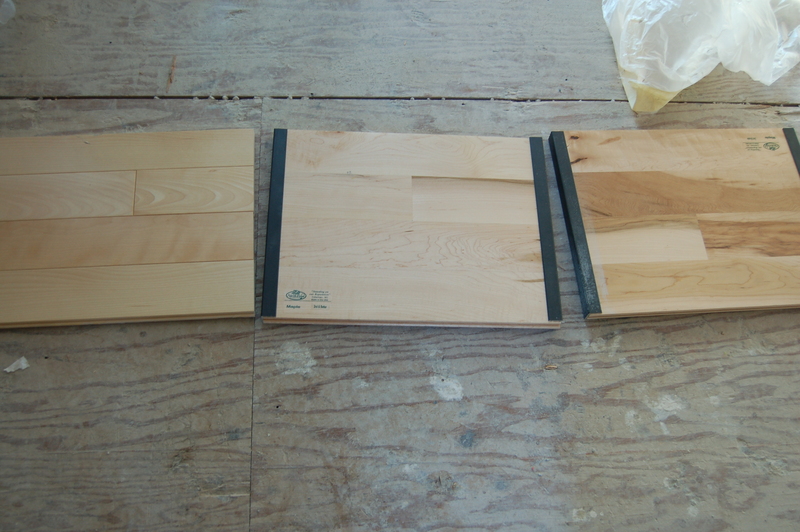 From left, premium maple, #2 grade maple, #3 grade maple. We all like the #2 grade, with some variation, and overall lighter tones. You now know our architect, our builder and our budget. All three play a big part in this adventure!